these boots have been sitting in my shoe rack for months now without even a glance in their direction. why? i have literally no idea. my attention has been solely focused on how much i’d love these boots from all saints, that i’ve forgotten i have an extremely similar shaped pair already in my arsenal. and therein lies the problem: i lust after the same type of things all the time. despite the fact that i’ve hardly bought any clothes recently, everything on my wishlist has a pretty similar vibe. 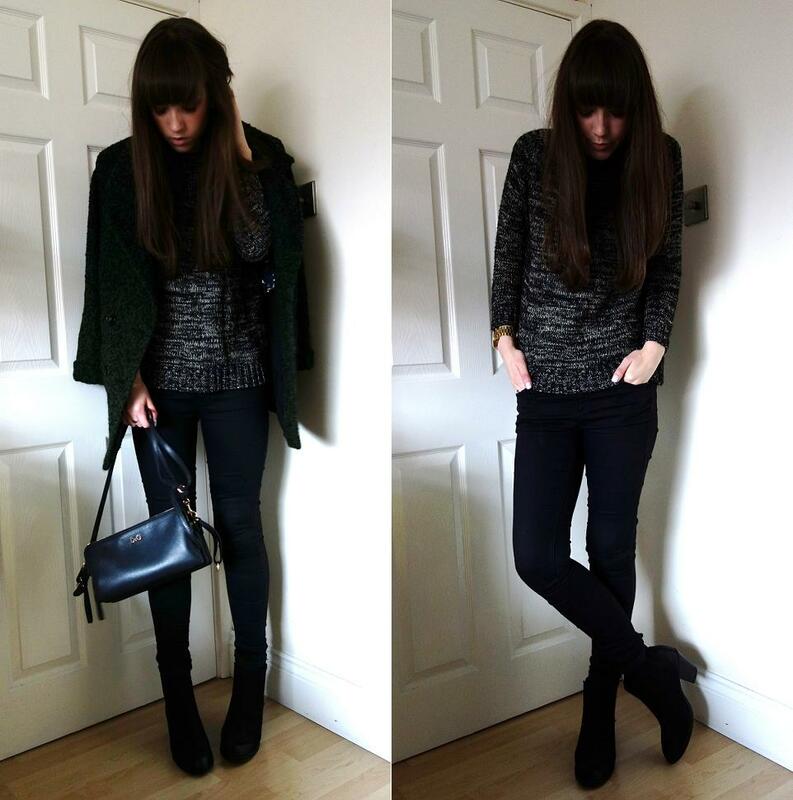 my outfits on here are quite samey and, although this blog is about honesty and showing you what i actually wear, i feel like i look a bit dull? this isn’t me asking for an ego massage in the comments, it’s more a reminder to myself to change things up a little! this is a shorter post than usual because i could literally cry at the amount of work i have to do. my trip to marrakech next week is possibly the worst timed thing i’ve ever done! the monday after i come back is my magazine pitch, so i have to finish the powerpoint and media pack this week. wahhhh etc. ps. make sure you’ve entered my giveaway to win lots of xmas goodies from lush!